Salsify is an eCommerce and product management platform for small business owners and entrepreneurs. It allows them to store their lifestyle, brand, and product-focused digital assets in a central location and provides a wide array of built-in tools for internal teams and external partners. In this article, we cover user reviews. Ready to try Salsify? Get a free trial. Users who gave Salsify a positive review like that the software is powerful as it is equipped with vital capabilities and is always improved by updates. Most users commended its ease of use and responsive support team who provides them with timely and beneficial solutions. One user who gave Salsify a positive review on G2 Crowd mentioned that she appreciates that the software is robust with capabilities that decrease their time in managing numerous manual processes. She added that she considers Salsify’s support team as the best as they are responsive and helpful even with complex requests. As of the date this article was written (11/09/18), there are no up-to-date negative Salsify reviews online. If you are a past or current Salsify user, leave a review to help other business owners who are deciding whether or not to use the software. Salsify doesn’t publish its subscription plans on its website and employs a customized pricing scheme. Interested users can get in touch with Salsify to request for a quotation specific to their business needs. Estimated prices for similar apps range from $25 to $120/user/month depending on the features included. Ready to try Salsify? Get a free trial. Best Ecommerce Platforms for Small Business in 2019 — Read about our comparison among Shopify, WooCommerce, and Volusion. 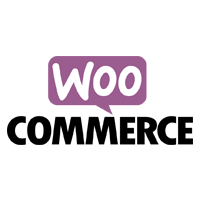 This covers what they are best for, their ease of use, online sales and marketing features, and price. What features are included in the free trial? The 30-day free trial enables users to experience Salsify’s full version. It includes all essential features such as data import, authoring workflow set up, retailer feed publishing, and more. Does Salsify keep the data of the users’ free trial account? Yes. Users’ trial accounts will be their customer account. It will retain the user’s data, products, and retailed feeds among others. Not sure if Salsify is the right fit for you? Read our reviews of all top eCommerce software providers or check out one of these three Salsify competitors. 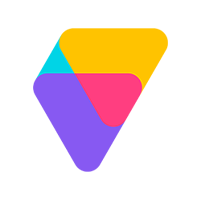 I like Salsify in categorizing and storing assets and data. Before Salsify, much of our work was manual and tedious. Salsify simplified our processes and has proven to be useful for our team, as well as for the equipment and retailers we work with. Some functions are not easy to use for people outside the content management field. Sometimes there are errors when moving between products or trying to get lists of simpler updates that are needed. I love using Salsify compared to so many other products that I have had to use for content management. It makes many promises that it fulfills and it has many features that it does not normally get in one place. The software is agile and easy to use. It is extremely easy to connect the APIs to almost any format or system. It is also very easy to create exports in retail templates or any other type of template needed. Every time I request an update or change in the platform or need help, I get help quickly and the implementations are put on your roadmap. I would like to receive more “practical training” to learn how to incorporate our products more quickly and efficiently, so that we can use the site as it should be. We experienced a lot of training, in which the trainer was doing the process and we tried to follow it; As we all know, most of us learn by doing and I think a lot has been lost because of this. 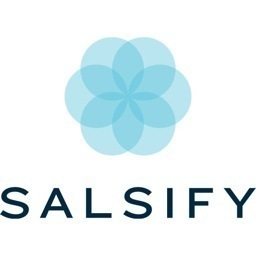 That has such a wonderful quality and support, I would not have wasted so much time looking for other systems, when I found Salsify I found everything in one place. And best of all, they continue to add more features and functions to the site all the time. The company does a good job keeping up and adapting to the constant changes in the retail space. All the capabilities they have to offer, and in general just knowing about the company earlier! Salsify does a great job of housing all of our digital content in one, easily-accessible location. This service has been a huge help to our marketing needs! I just wish we had implemented this system sooner. What's the Best Ecommerce Platform?